Basement flooding, sewer backup and leaking roofs are common after severe Chicago storms. This also results in displaced residents who fall victim to home repair con artists and their scams. We were in a panic because the water was pouring into our basement from the street. Flood Specialists, Inc. advises Chicago homeowners experiencing basement flooding or a sewer backup due to severe storms to be cautious when hiring water damage professionals. The storms of 2011 taught many homeowners the hard lesson that not everyone is who they claim to be. Fortunately, Flood Specialists spoke to many of the victims of these scams and is passing those lessons to the public. Homeowners need to be cautious when hiring strangers off the street. “Easier said than done”, says Mr. Zimmerman, a Chicago resident for 68 years who fell prey to a con artist when he experienced his first basement flood. He goes on to explain, “We were in a panic because the water was pouring into our basement from the street. We were outside watching the water when a couple of men pulled up in white vans and asked us if we needed help. How could we say no?" Because of the great stress a homeowner goes through when they are suddenly displaced by a flood, sewer backup or other disaster, it is easy to accept help from just about anyone. Mr. Zimmerman ended up paying $2,500.00 to a couple of men who claimed to be water damage professionals who were on their way home from a very busy day. “They sounded so sincere and professional about the work they do and what they said they could do for us. They had their equipment with them so it just made sense”, he said. What did not make sense at the time but became obvious, was that the two men left behind a small water pump. It ran all night and pumped out most of the water but the men never returned for the pump. Flood Specialists says this is a popular scam where the con artist buys several cheap water pumps and goes around looking for victims. They setup the pump; explain all the work involved after pumping is complete and the material that will needs to be purchased. Then they ask for payment and leave the pump behind. Flood Specialists advises homeowners to think twice if asked to pay in advance for any work. 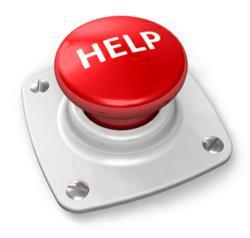 A good company will work with the insurance company so the homeowner has little or no out-of-pocket costs. They also suggest keeping their phone number and email address handy just in case a severe storm does roll through Chicagoland. They encourage everyone with questions about basement flooding, sewage backup, mold cleaning, or any other water damage topic to email them. Flood Specialists, Inc. is one of the largest providers of Water Damage Restoration services in Chicago, IL and surrounding communities. They are IICRC certified and maintain an A+ rating with the Better Business Bureau. 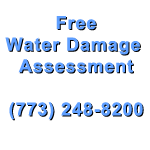 Visit http://water-damage-specialists.com for more information on water damage, or follow us on Twitter @h20damageRepair.